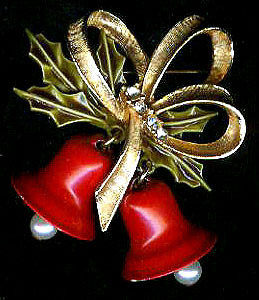 Christmas bells, bow and holly in this vintage pin by ART. Textured goldtone bow, dangling red bells with faux pearl clappers, enameled holly leaves. 2" height, excellent vintage condition.